We believe in the importance of the 4th trimester and the instinctual need you and your baby have to be close to each other. We believe in the power of touch: to heal, to comfort, to nurture and grow your baby. We believe that details matter. What touches your baby’s skin has the power to make them feel safe, secure, and at ease in a world that is so new + overwhelming. Our signature fabric was researched and designed to be incredibly soft to the touch, holding your baby with the kind of gentle tenderness that you do. We believe that parenting is one of the most amazing journeys, but also one of the most challenging. Without a doubt, it takes a village to raise a tiny human! We create products that make this wild ride a bit easier for you and your family. We’re here to support your journey, be on your side, be a part of your tribe. This Newborn Carrier which is made up of signature fabric allows you to spend more time skin-to-skin. It is designed to go on like a shirt.Our carrier eliminates wrapping, tying and knotting to make babywearing a breeze. As your baby grows, your post partum body changes, the adjustable closures give you the perfect ﬁt every time. We believe in the importance of the 4th trimester. The instinctual need you and your baby have to be close to each other. We believe in the power of touch: to heal, to comfort, to nurture and grow your baby. 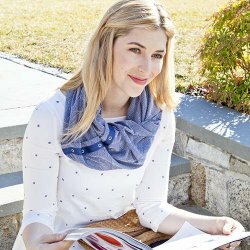 We designed this discrete Nursing Scarf to be your favorite accessory, so it’s on you when you need it. It snaps along the width of the Nursing Scarf let you customize your coverage – giving you endless ways to wear!. You can use the snaps to create a custom ﬁt, guaranteeing it will stay in place. Our signature NüRoo® fabric is breathable, super soft, wrinkle free, and so easy to care for. Swaddling has been proven to help babies seep better and longer. But not all swaddles are created equal. We’ve taken the guess work out of wrapping with a blanket so you don’t have to worry about loose blankets in the crib or the risk of swaddling too tight. With hours of research and lots of hands on experience, we’ve taken all the beneﬁts of swaddling. We have created one form swaddle you just can’t do without. Our signature fabric is incredably soft and fully loaded with performance beneﬁts like moisture wicking properties to keep baby cool and dry, and our grow with me design makes it the only swaddle you’ll need to buy!